Also in the range of connection methods Fischer Elektronik is positioned well. 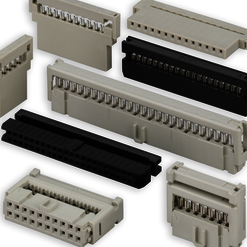 We have sockets, plugs and connectors for PCBs and ribbon cables in our range of products. You can also buy brackets for PC for the assembly in PCs and devices from the optoelectronic range from us. 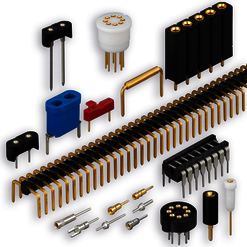 Connectors are used in electrical devices to connect electrical wires with each other. With help of such a connector you can build connections to the according opposite side and you can disconnect it on demand. 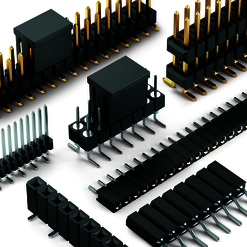 Connectors are therefore not only important for the power line, but they are also relevant for the generated heat development. 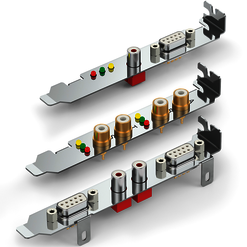 Fischer Elektronik offers connectors in various versions, i.e. D-Sub connector which are protected against accidental twists due to their design. We use different materials in the production. Unleaded tin coatings and high temperature resistant plastics are used as well as gold and other high-quality metals. 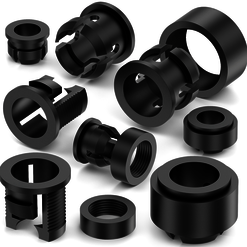 Contact holders and contact elements become tin-plated or partially gold plated and they are offered in different contact quantities. 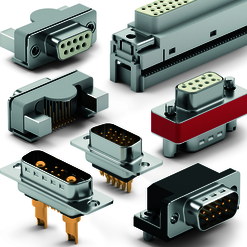 Furthermore connectors can also be produced in different sizes, designs and grid patterns according to special customer demands.